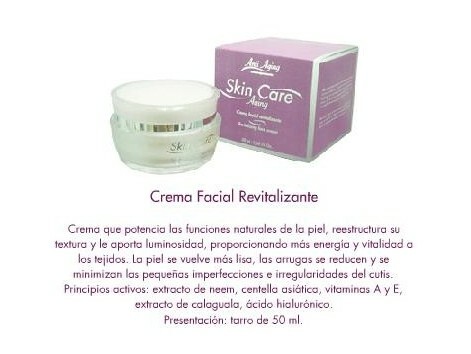 Energizing Skin Care facial cream. 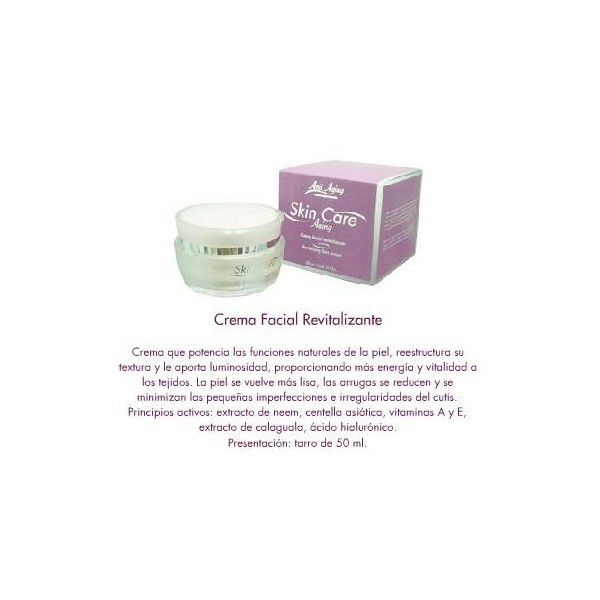 Cream that boosts the natural functions dela skin, it restructures its texture and provides light, providing more energy and vitality to the tissues. The skin becomes smoother, wrinkles are reduced and minimized small imprefecciones and irregularities of the skin. Active ingredients: extract of neem, Centella asiatica, vitamins A and E, extract Calaguala, hyaluronic acid. Presentation: 50ml.